1. 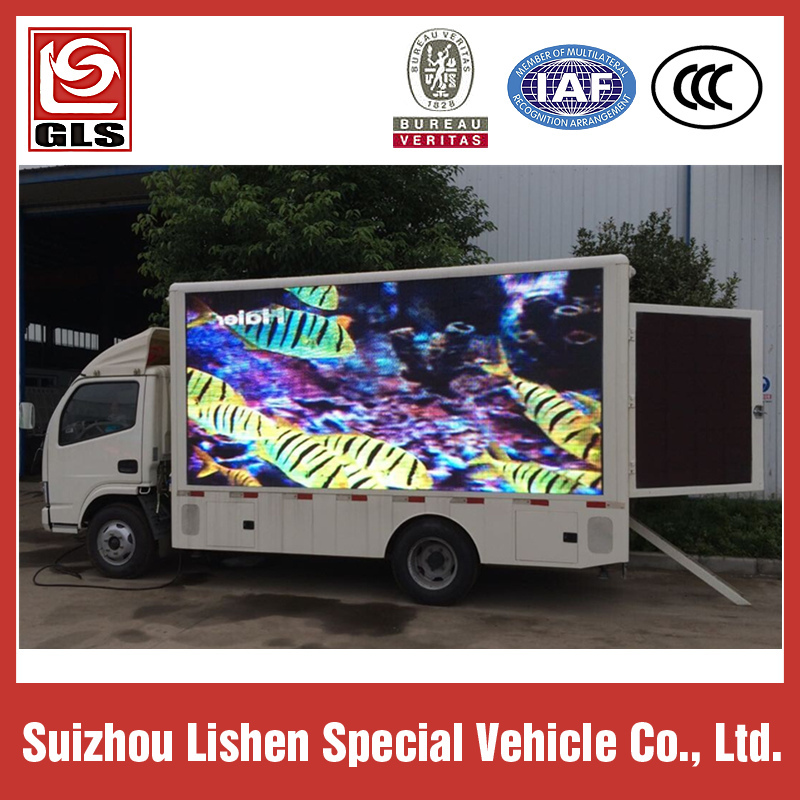 LED Screen: It uses imported EPISTAR chips, high level of illumination, long life-span, and high refresh frequency and easy to maintain. 2. Generator set: It is specialized designed for this style. Lower noise and stable. 3. 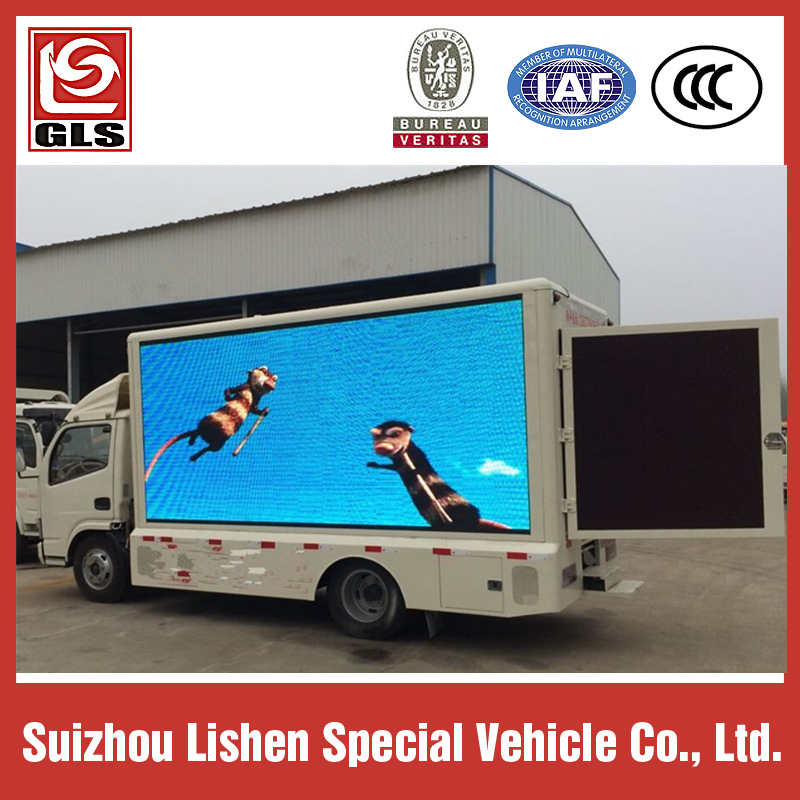 Lifting system of LED screen: We use the electric puts as the lifting system, since the synchronization error of two Electric puts is only 1mm. 4. 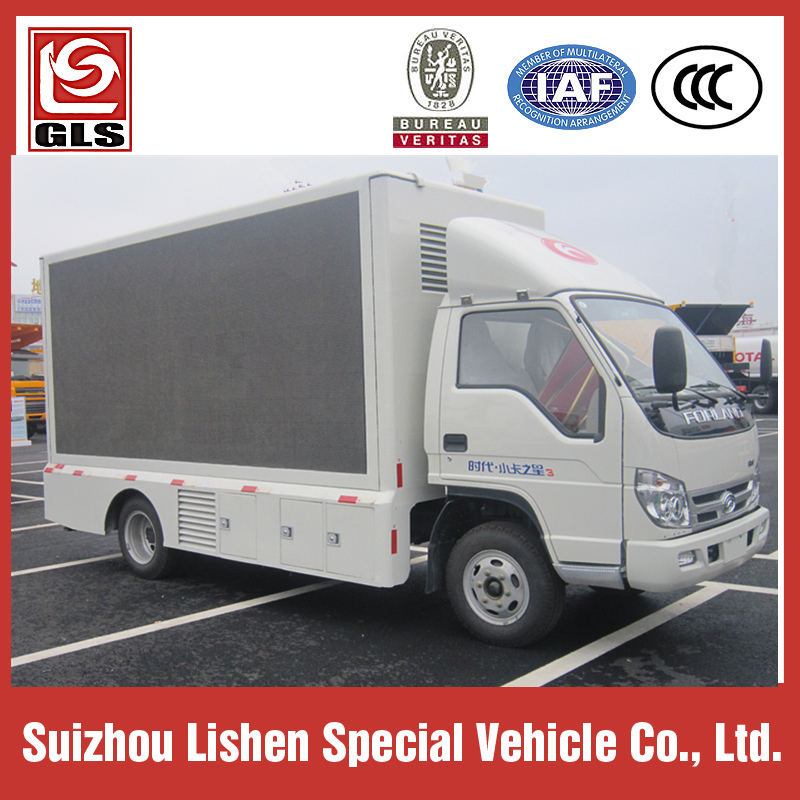 Vehicle air-conditioner: Its most important function is cooling the LED screen and the generator, also it could well cool the carriage, and provide a very comfortable environment for the staffs. 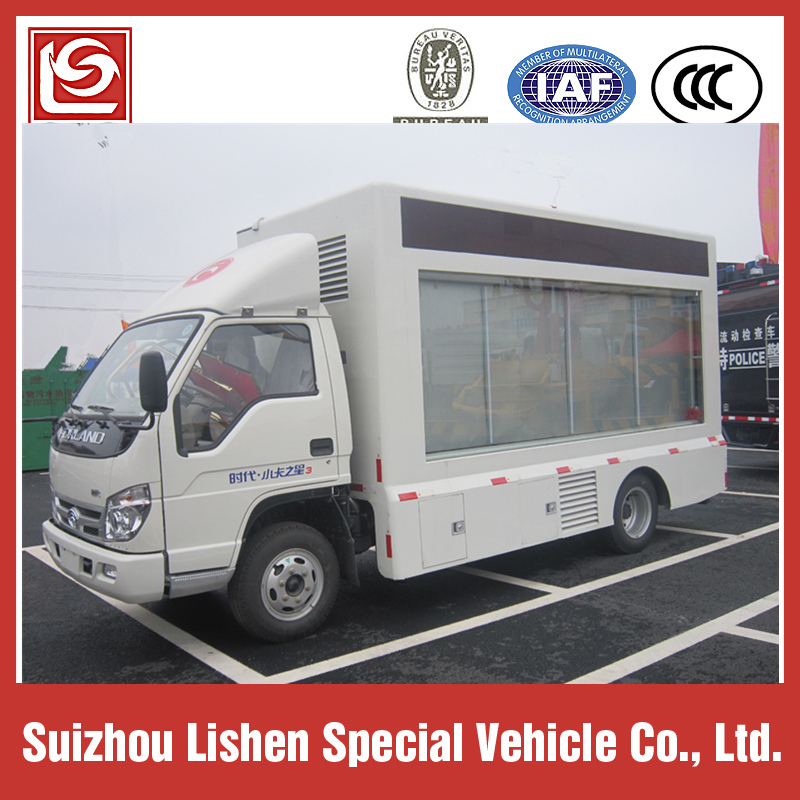 The vehicle air- conditioner also has excellent quake-proof index and waterproof index. 5. Multi-media Control System: Integrated control cabinet with industrial computer, amplifier, and operation buttons together. 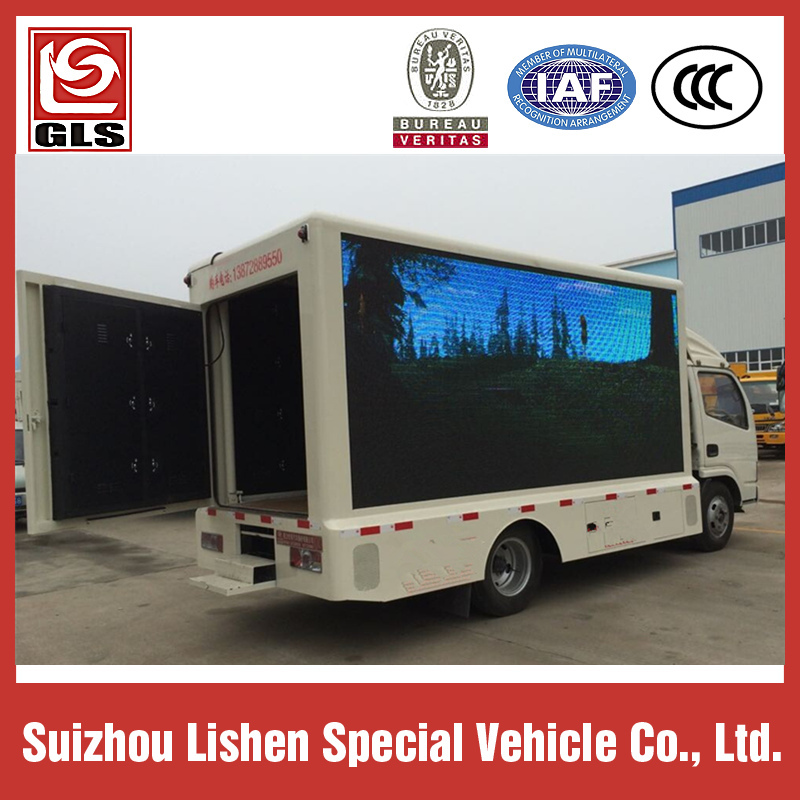 The speakers are equipped in the frame of carriage. With it, you could do on-site live recording and broadcasting, television program broadcasting, live karaoke and so on.